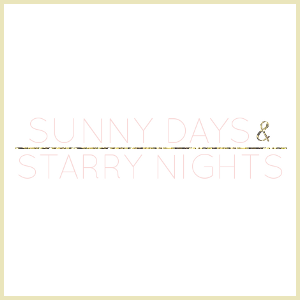 Sunny Days & Starry Nights is a lifestyle blog focusing on fashion, food, and interior design with splashes of travel, entertaining, and personal tidbits. Written by two real life sisters who believe in karma, happily ever afters, and that one never has to fully grow up. This blog was created to showcase all that brings them joy and inspiration, to share the things they love, and to gather that which they dream and wish for. • Swoons over British accents but believes nothing sounds sweeter than a Southern drawl. • Gets weepy eyed during sad songs. • Wears her heart on her sleeve. • Believes sequins are always appropriate and everyday is an occasion to wear your best pearls. • Immensely sentimental. • Lover of princess dresses, sparkly things, and chocolate in any form. • An old soul who frequently celebrates her inner 10 year old. • Drives barefoot while singing (badly) at the top of her lungs. • Loves traveling and dreams of seeing the world but at the end of the day is a homebody at heart. • Dreams in French. • Believes no man is more dreamy than Rhett Butler or Mr. Darcy. • Proud that she spoils her cat, Tiger. • An anxious worrier who over analyzes everything. 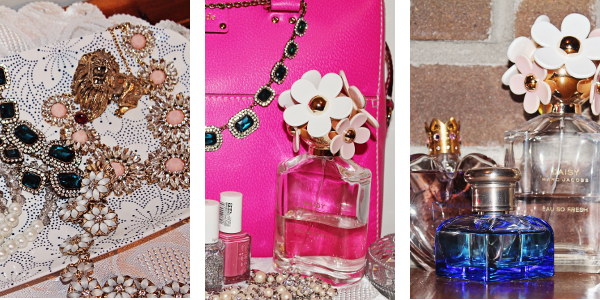 • Slightly obsessed with VW Beetles, decadent desserts, and feminine details. • Loves baking for others. • Adamant that Kate Spade can do no wrong. • Collects snow globes and statement necklaces. • Believes everything is prettier in pink. • Routinely cleans out her closet so she can go shopping. • Works as a lawyer but still has not discovered what she wants to be when she grows up. • Loves eating ice cream straight from the carton. • Go to uniform for evenings spent at home is comfy pjs. • Goes with the flow. • Wants to have breakfast for dinner. • Believes there is no place better than a well stocked bookstore or a cozy corner in a library. • Struggles with early wake up calls. • Frequent user of the phrase, "the cat's pajamas." • Addicted to Sephora but clueless about makeup. • Gets absorbed in a good mystery. • Refuses the notion that she is too old to watch cartoons. • Collector of postcards. • Plays a mean game of scrabble. • Wears green as if it were a neutral. • Smitten with kittens. • Teacher by day, vigilante crime fighter and blogger by night. • Fearlessly embraces her inner nerd. • Values the importance of a few close friends. • Secret girly girl. • Dreams of some day publishing a novel. • Cannot resist juicy gossip, days spent at the beach, or snail mail. • Loves surprises. • Would rather watch an action flick over a romantic comedy. What a great way to get to know you two better! Love this about page! You guys sound like so much fun..:-). 'nice reading about you.